So this kit has become available to me, but before jumping head first into this. I wanted to see if anyone had any experience. Pros and cons? It will be a fwd set up, if I plan on going this route. A little about my car, I purchased my mini about 7 years ago, I had no experience what's so ever with anything mini, drove the 998 I believe for 2 months before something went wrong and for the life of me I couldn't fix it. Decided to go the Honda d15 route. Stripped the car and took it to a buddy that fabs for race cars. It's been sitting for 4 years and he still hasn't touched it. Some buddy huh. Well the truth is he's extremely busy and we'll I'm ready to pick up and do everything myself. I would love to be able to drive my car as I please. It won't be a daily but if I can get to work once a week and be a weekend warrior I'd be very pleased. I'd also like to be able to take the car to the track here and there when time allows it. So on to the r1? Is this possible with this kit or should I look another route? This is when I first bought the car. As sad as I want to admit it looks nothing like this now. it is from 2012 though but have a look at the advert as there are some videos embedded in it and the guy is also from the LA area, small world. His email is on there too so you could message him and have a chat and get his thoughts. Last edited by juggernaut; 30-12-2016 at 01:41 AM. Hi Mostdef, I've just had my newly put together Pro-Motive R1 engined mini out on the road over the past couple of weeks. The mini is 1980, very standard looking car with 10" minlites a cooper s brake setup and running a 5pw R1 engine with a Quaife limited slip diff. I can honestly say it's the most frantic thing I have driven, I've had a fair few fast cars including a Watsons b16a2 engined mini that was great fun. 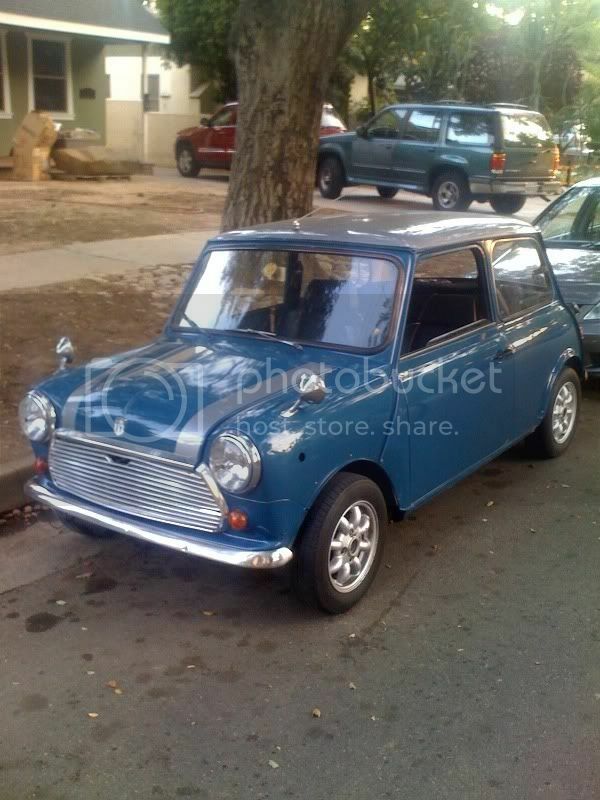 With this Mini I wanted something that looked like a standard mk3 Cooper but was fairly fast. Reverse gear again takes a little getting used to and you need to be thinking about when you need to engage reverse as the car needs to be rolling slightly when you change from forward to reverse. I haven't experienced the drama with a complete lack of torque that has been discussed. Although the guys who did my conversion had done a previous conversion on one of the late Rover Mini Coopers with 13" wheels and extra comforts running a 5jj R1 engine, they thought the performance difference between the 2 cars was massive. If you would like any other info please send me a messgae. is there ever fast enough?